Warehouse in Canada is topped up and ready to go ! 2017 Continues design updates to the Kangaroo Scooter. Most are only minor , but we would like your ideas on a "Footboard Clutch" pedal vs the handlebars. Let us know. USA sales warehouse is sold out ! Sorry. Please contact us directly about shipping to the USA. Kangaroo Scooter sale on for retailers ! Buy 5 or more scooters and get substantial savings including free shipping. 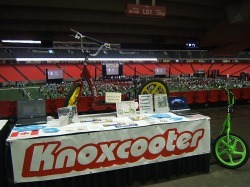 Want to "try" one on consignment, call us. All you pay is shipping. 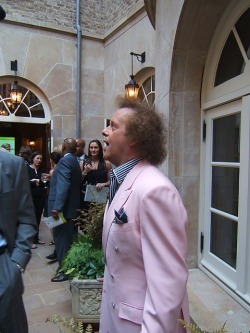 Richard Simmons said the Kangaroo Scooter looked like a great fitness tool ! 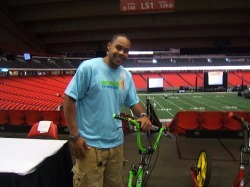 Someone else we met at Atlanta who is working with and for obese children , Antoine Dove from TVs BIGGEST LOSER SHOW. 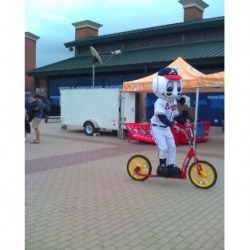 "HOMER" of the Atlanta Brave baseball team has one !